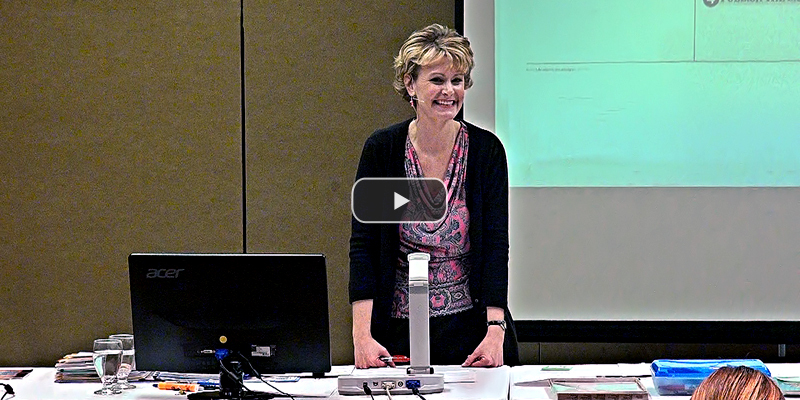 FAQ: What is a vocabulary notebook? ANSWER: Individual vocabulary notebooks can be a useful tool to support students as they learn subject-specific and domain-specific terms. They can be useful. 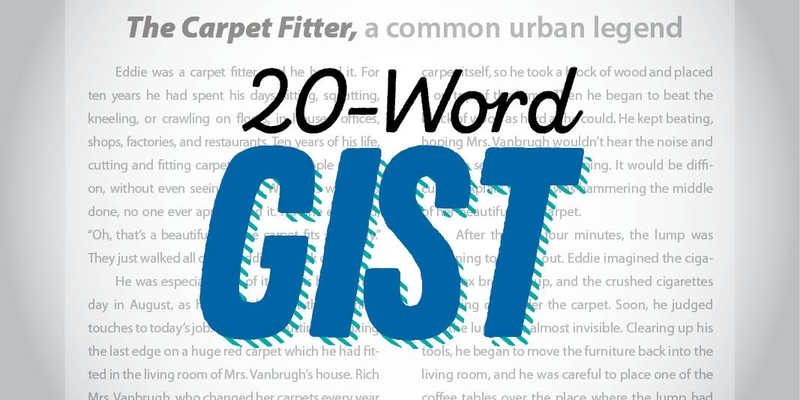 Vocab notebooks could also be nothing more than a worksheet that adds little value. The key to a powerful vocabulary notebook is realizing its purpose of holding a student's growing understanding of a term. 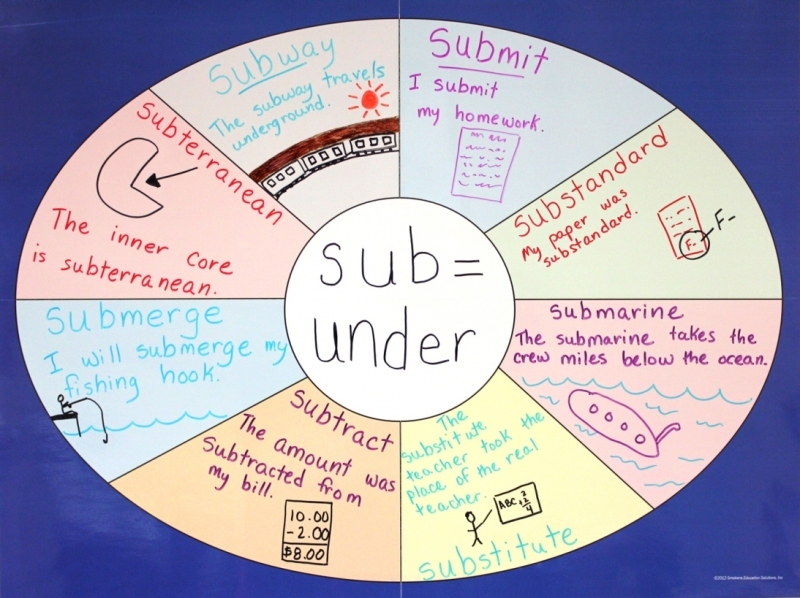 When a word is first introduced and added into the notebook, teachers cannot expect students to have its meaning learned and memorized in a matter of days. 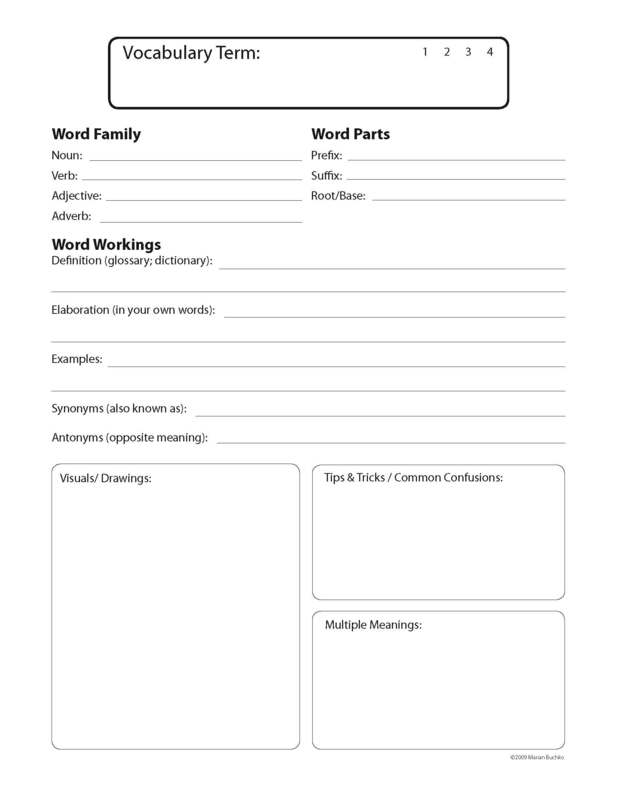 Rather, students need multiple opportunities to interact with the word over weeks and months, and it's during this learning time that the vocab notebook is powerful. Once a new word is added to the notebook, a student then updates his understanding--polishing, revising, and fine-tuning his learning. Consequently, a vocabulary notebook must be set up to allow for multiple entries in different spaces and places. Here are two common templates that many teachers use. Within the Frayer model the vocab word is written in the middle and coinciding information is added around it (Fraction example). 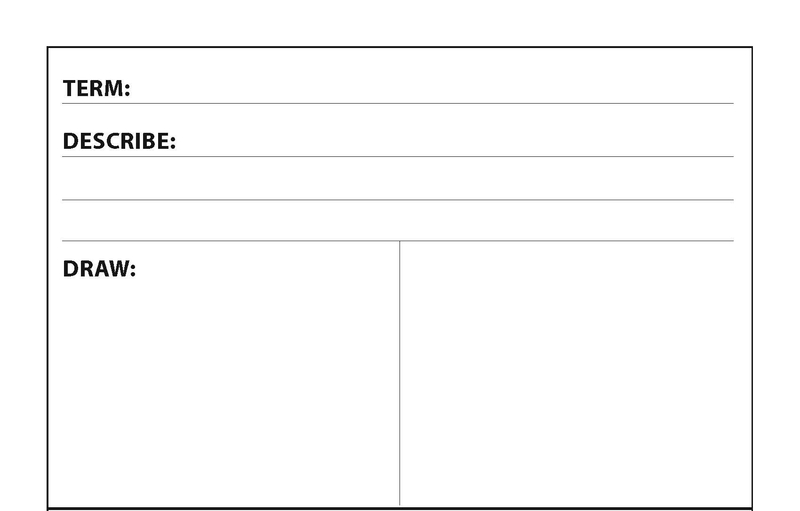 The Marzano template includes similar information and a place for a student to draw the word's meaning (Income tax example). A universal template may need some tweaking to better meet your students' needs. Here are a couple examples created by classroom teachers. Fourth grade teacher Cris Petro (Bailly Elementary School in Chesterton, IN) centered the vocabulary page around a word's illustration. The gray space frames the drawing and provides a place for four additional pieces of information (Setting example). 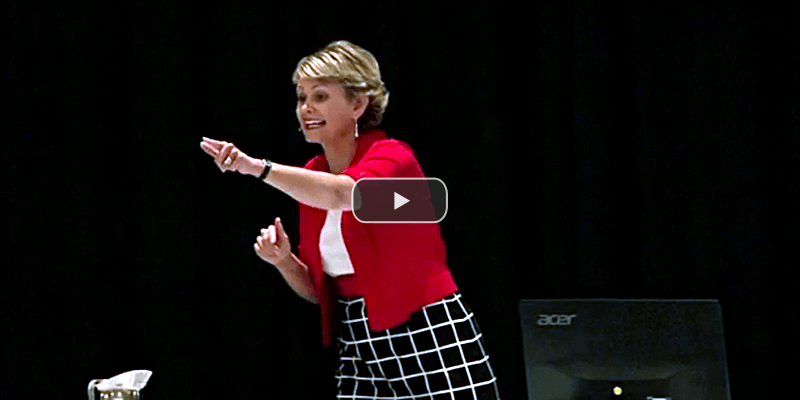 Middle school teacher Sherri Armstrong (from Honey Creek MS in Terre Haute, IN) uses the acronym W.I.D.E. 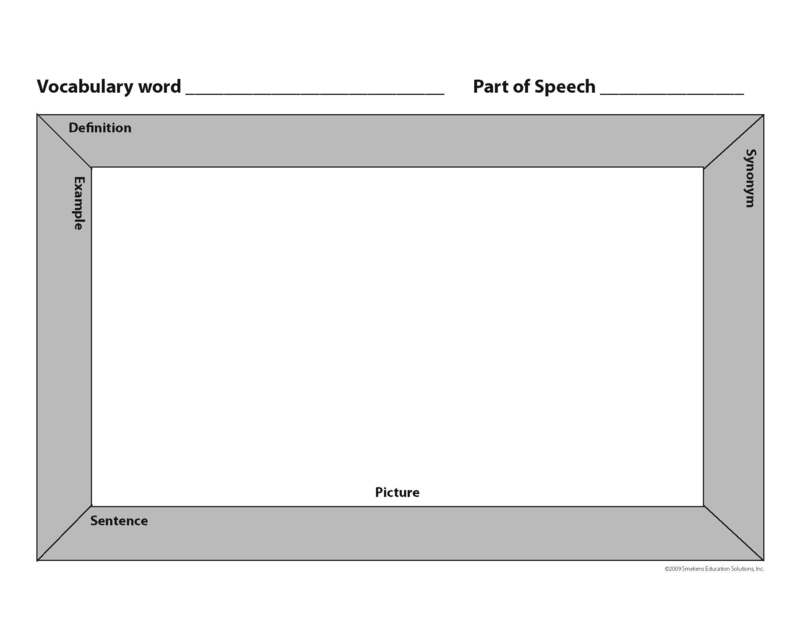 as the basis for her vocabulary notebook template. This format allows for three terms per page. Realizing that students need to interact with a word for weeks and months, consider where all that growing understanding will go. Each of the previous four template samples included 4-5 spaces for students to log their updated thinking. For many classrooms, that may be enough. 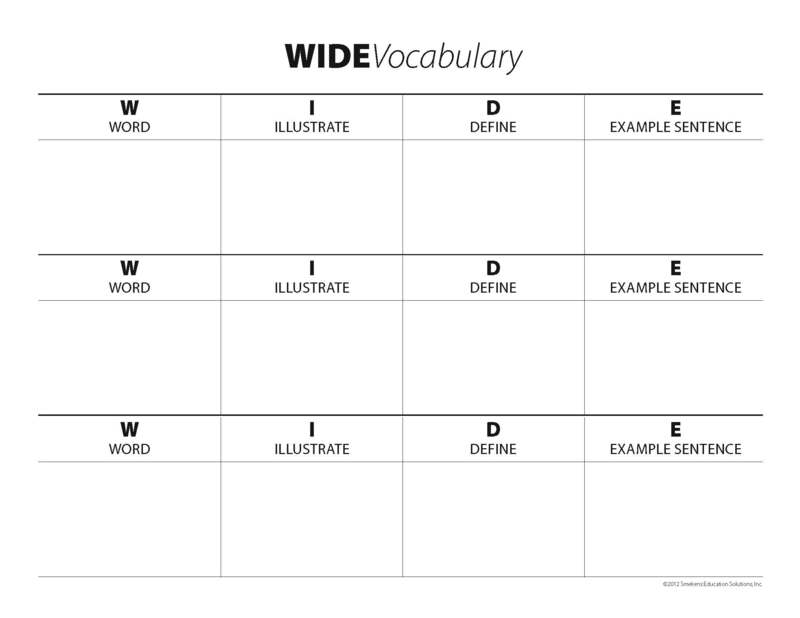 But, if you're seeking a more thorough vocabulary template page, this last one may be just what you need. 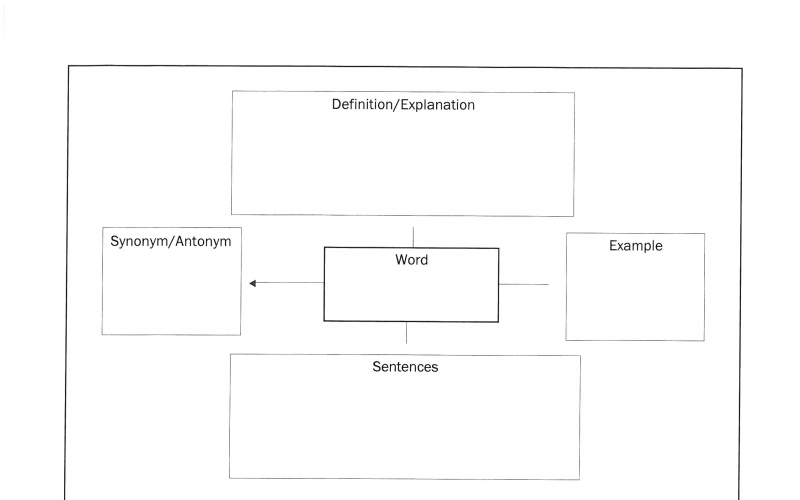 In addition to the typical information (e.g., definition, explanation, example, synonym, and a visual representation), this template includes much more (Simile example). 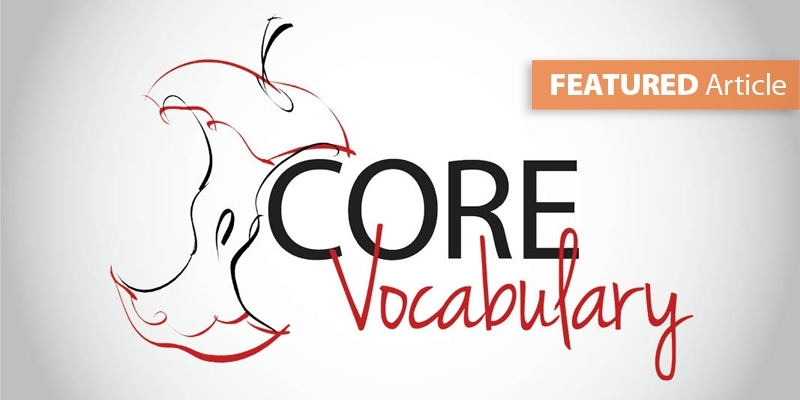 Buchko and her staff created a single vocabulary resource where students housed their academic vocabulary for all subjects. Using the same template, teachers photocopied it on different colors, with each color representing a different subject area (e.g., blue=math, pink=social studies, green=science, yellow=language arts). The most important thing to remember regarding vocabulary notebooks is that the focus is NOT the template itself. It's not about having students fill out a worksheet so you can grade it. 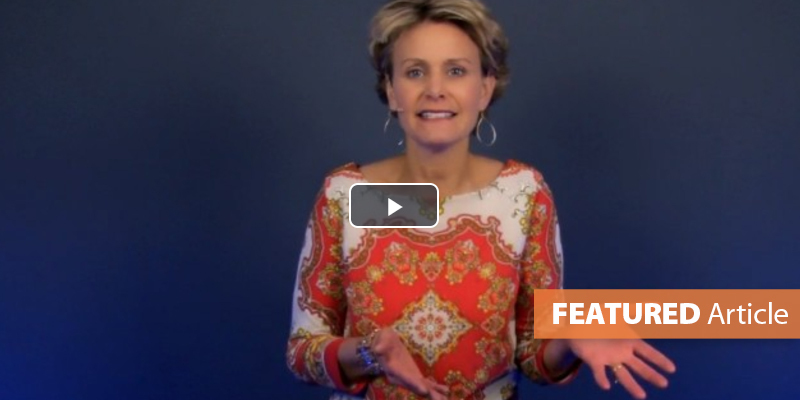 The greater purpose is that students have a place to log their growing understanding. 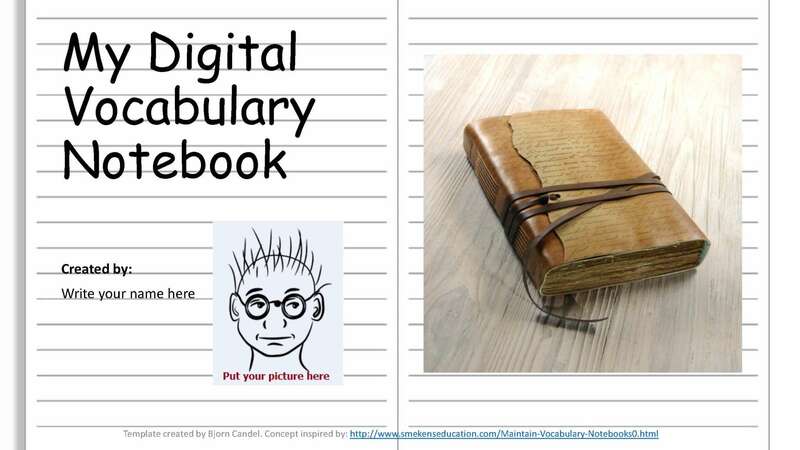 For those intrigued with a digital notebook, check out these examples and templates. PowerPoint examples for equation and latitude. PowerPoint slide template. PowerPoint examples for force and adjective. PowerPoint slide template. I love the idea behind the vocabulary notebooks, and I like how there's a section allocated for example sentences. It's one thing to know the meaning of a word but another to know how to use it in writing and conversation. If I can't come up with a sample sentence, then I often resort to using this site, which offers a wealth of example sentences. Thanks, Danny, for the great resource link! I had been searching all over the Internet for many hours for a PowerPoint-based vocabulary record idea when I came across your Digital Vocabulary Notebook above. I love it! 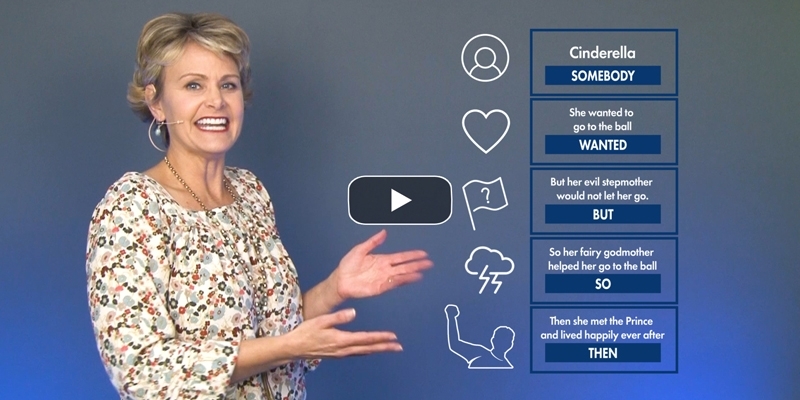 I'm working with Arabic-speaking college students learning English, and I needed a way to steer their vocabulary learning skills towards key categories like definitions, examples, collocations, idioms, parts of speech etc. 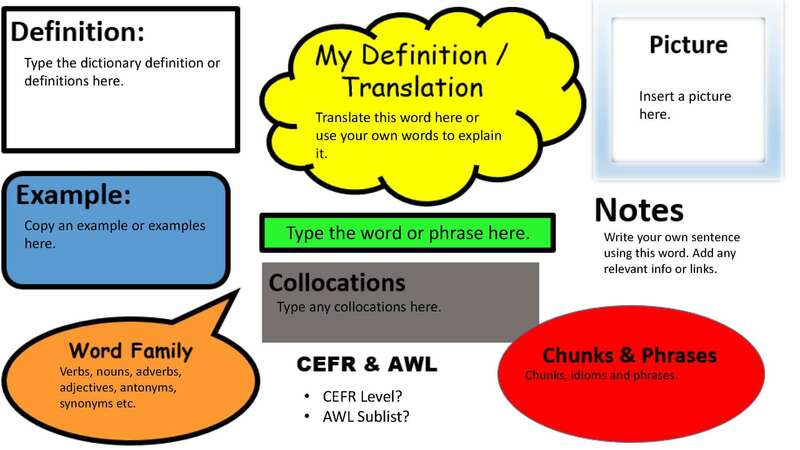 I have created my own version, inspired by your idea (link below) and I was planning on using it at a PD session I'm running at TESOL Arabia in Dubai in March. I hope that would be OK with you! Bjorn--That is totally okay with us! And what a great resource you've created! 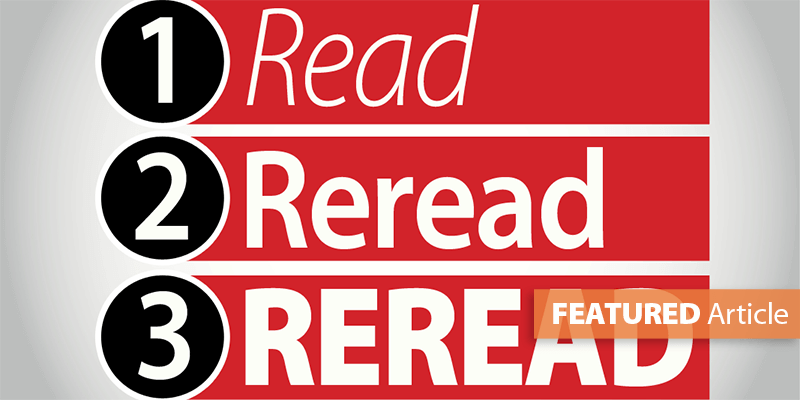 Teachers, to make accessing this resource more convenient, please use the links below. Hey there, the "Academic Vocabulary Book" is really helpful for me, but what are the "1 2 3 4" used for? I didn't get it. Could you explain it more obviously, please?